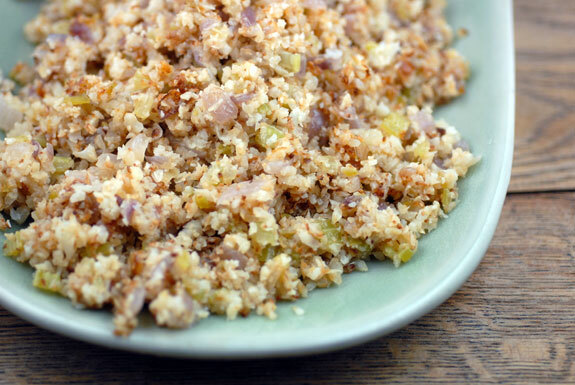 This low carb cauliflower rice recipe will change your life! Ok, sounds a little strong I know but the feedback I have had from this recipe has been incredible! Perfect for those that struggle on low carb diets or enjoy ‘volume’ meals as you can enjoy a huge serving for very little calories. Cauliflower rice makes an appearance in my weekly menu at least twice! Even if you are not a fan of cauliflower I promise if barely resembles cauliflower once it’s finished. Give it a try and see! 2Add the grated cauliflower to the softened onion and garlic, fry for 3 – 4 minutes before adding the ground cumin, salt & pepper. Continue to fry for a further 2 – 3 minutes. Serve immediately! Wow. This was so delicious. I used smoked cumin, My husband hates cauliflower, but really enjoyed this meal, 5 stars! Is this freezable once made? Delish. Can you give us a nutricional value, calorie count? Really tasty , will be having it again.